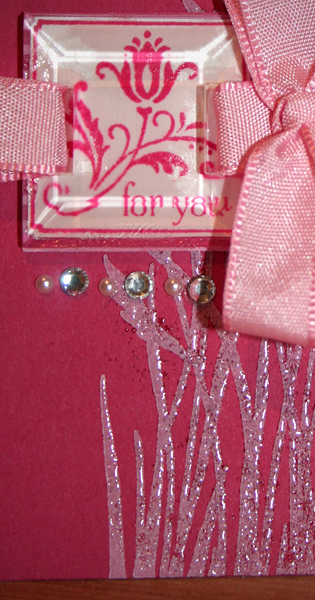 The Folded Card: Raspberry ripple with sprinkles! No I haven't gone mad! I was at my husband's Grandmother's 90th birthday last weekend and ended up sitting beside my impeccably behaved and absolutely adorable niece. When we ordered our deserts she was very excited to see that her favourite flavour was on the menu and asked for it very politely (her dad, in true dad fashion everywhere told everyone an amusing story of when she mispronounced it!) 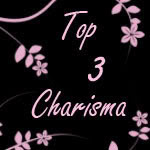 I happen to agree with her that raspberry ripple ice cream is the absolute best, so when the challenge over at Charisma cardz called for an interpretation of our favourite ice cream, what else could I choose? 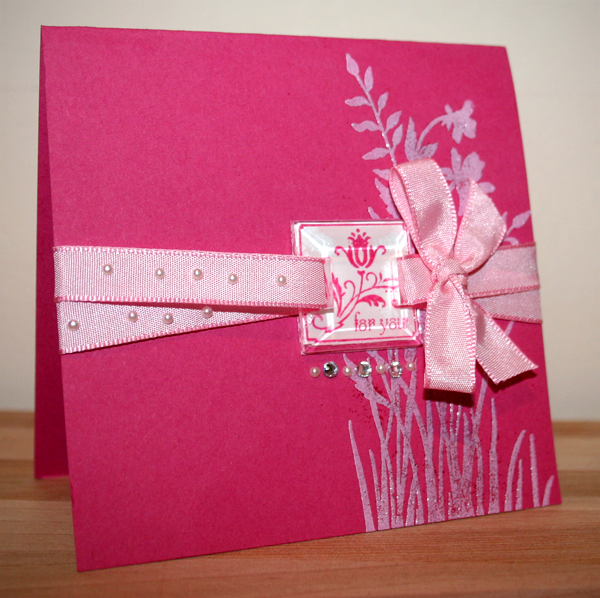 The card stock that I chose to use could be none other than Rose Red for the raspberry as it fits just perfectly. The flower design is from and absolutely gorgeous set (and one I don't use nearly enough) called Just Believe. 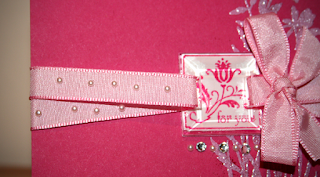 I stamped it in Whisper White and then embossed it using clear embossing powder. This has given it an almost pearlescent effect and looks a bit like ice, don't you think? The embellishment was made by stamping one of the squares from the fab level 2 hostess set Cute by the Inch which can be a bit small for making cards, the addition of the bevelled windowpane draws it out. These windowpanes are fantastic for making your own embellishments or drawing attention to a phrase or image. 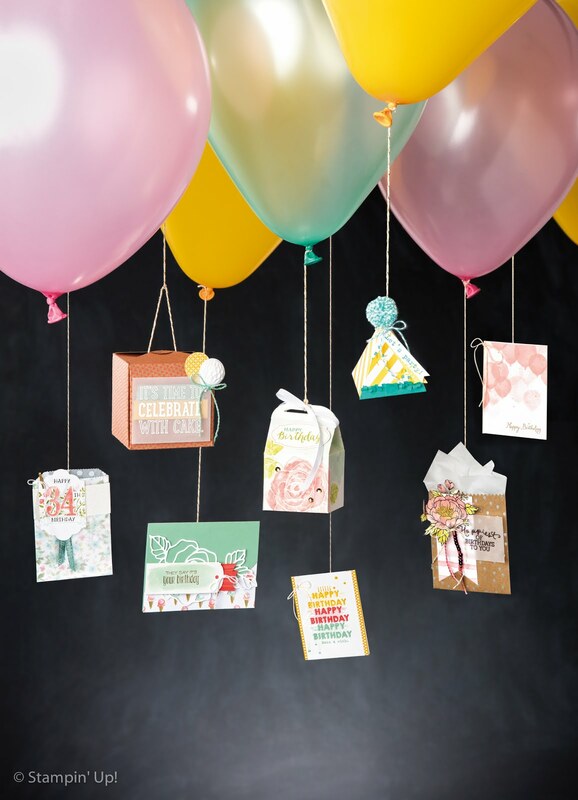 They are just as useful for scrapbooking as they are for card making and I do hope that they carry on to the new catalogue. 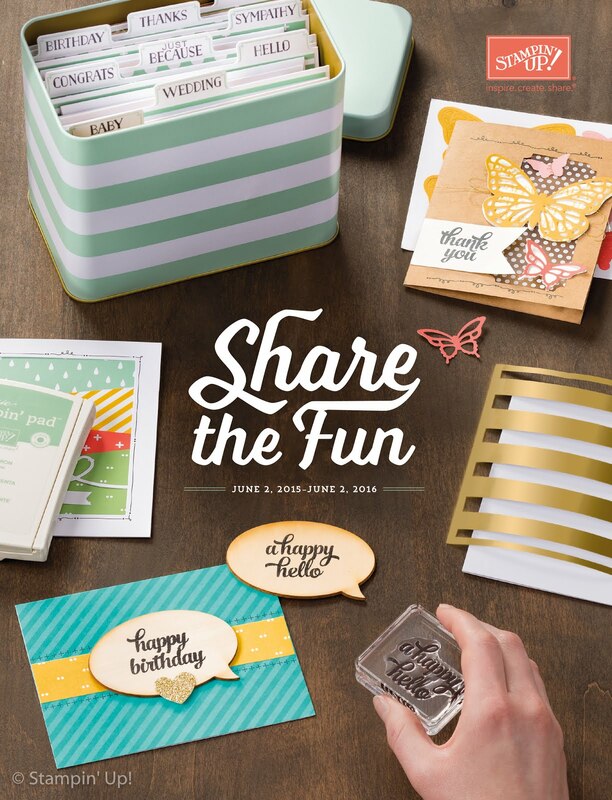 For any Stampin' Up newbies out there, the new Stampin' Up catalogue comes out in October and while we get brilliant new items, we also loose stamp sets and embellishments etc. We find out what retires in September, but there is no guarantee that anything from the mini catalogue will make it in. So if you have a wishlist from the mini catalogue, get your skates on and place an order! As you can see from the close up I also used some of the basic pearls and rhinestones underneath the sentiment and on the ribbon, I've decided that these are my sprinkles on the ice cream (or hundreds and thousands if you remember them.) The ribbon was threaded through the handy slits in the bevelled windowpane to help hold it on. I then made a bow using the fork bow technique to make the bow on the right hand side. Pink Pirouette I have decided is the just the colour made when you mix up your raspberry ripple ice cream! All this talk about ice cream is making me crave some so I'm going to head down and raid the freezer. I hope you like this card, don't forget you can order all the products shown here from me so give me a call or send me an email. Hi Claire, just found your blog and clicked the follow button....LOVE THIS CARD...delicious !! Fabulous card, my favourite ice cream too. Thanks for playing with Charisma this week.